Be aware: this very much alpha quality software! not at all suitable for real life (tm)! In order to run the wallet software, you need to have a compatible mobile phone. 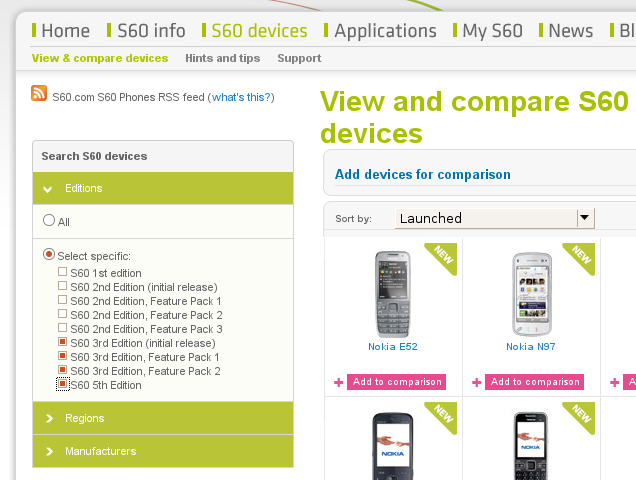 Please go to the S60 page, and in the "Search S60 devices" under the "Editions" tab select version 3 and above. You will then get a list of all mobile phones that cun run python, and in return the opencoin wallet. onto your phone, and install it by clicking on it. Remember the drive you installed it on!
. Install it to the same drive you installed python to. Right now the wallet works fine if you play it fine. There are lots of bugs in it, and next to no input checking is done. We are working on it to improve it, of course. The first thing when you start up the phone is installing a currency. Right now there is only one testcurrency - 'BaachBucks'. This is the default in the 'options' -> 'add currency' dialog. When promtped for select an access point, select an access point of which you know that it works. If not, all you create is an error message.